There is always an electric vibrancy to this time of year, as the world shakes off the winter blues and renews itself for another year. This is the season when the clock literally resets and when plants, animals, and humans all catch spring fever. The birds are singing in the early morning. The playgrounds are busy, the joggers are out, and even a few brave flowers are blossoming (or, in California, lots of flowers). But it isn't just flowers… Love is a-bloomin', too. Spring is the season of new life, which makes it one of the most beautiful times of year to host a wedding or renew your vows. 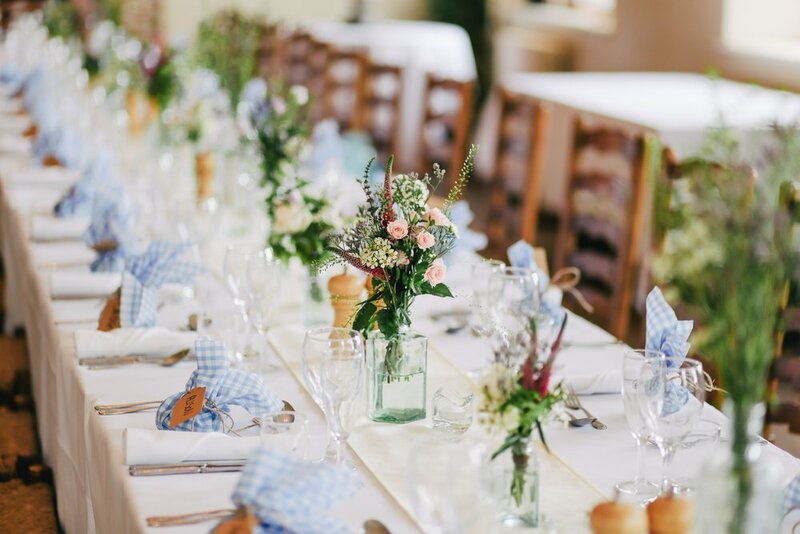 It's easy to get carried away with the floral look in a spring wedding. But if you want a subtler nod to the season, pair your bright center pieces and muted linens and place settings. Light blues, greys, and whites provide a soft backdrop to make the pastel florals pop in just the right places. Turn any venue into a garden oasis with potted plants, wildflowers, and moss. Floral archways make for stunning ceremony pieces. An even more unique approach is using a rustic door as your ceremony backdrop. Coupled with the floral and greenery venue, it feels like the doorway to a romantic secret garden. We found one bride who did this, and we were WOWED that more people don't do it! Toss out the boring paper place cards. Dye some (boiled) eggs and paint on names and table numbers. 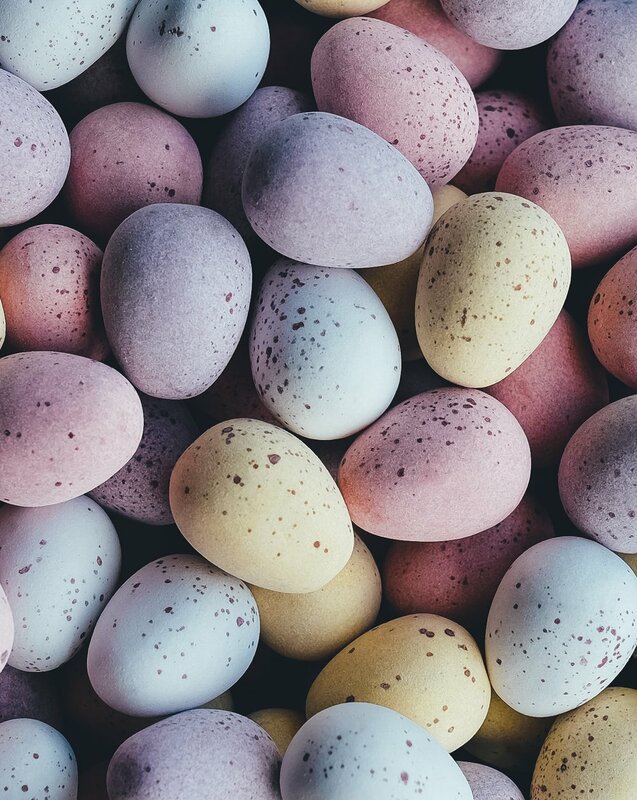 Use fake eggs to save time and fill them with candies as a wedding favor or with flower petals for your grand exit at the end of the night! Your bridesmaids are goddesses. Let them feel the part with flower crowns instead of bouquets. They're typically less expensive than bouquets, and you can even make them yourself! Or pair with a handheld greenery garland. Host a garden tea party as a unique take on the traditional cocktail hour! Couple a tea and coffee bar with strawberries, cucumber sandwiches, scones, and other light refreshments for a truly stand-out affair. 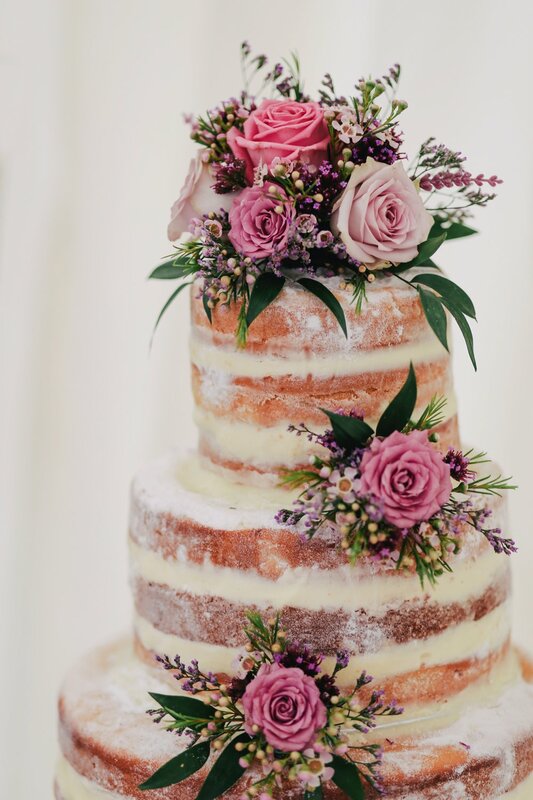 While equally gorgeous for autumn weddings, a naked cake adorned with peonies, sweet peas, or lilacs is a stunning addition to a spring dessert table. This kind of cake is stripped down, bare, and vulnerable—and aren't we all that way in love? Any season you choose for your wedding will be the perfect choice for you. And they all have their merits—winter is cozy and feels like family, autumn is crisp and deep, summer is warm and perfect for the beach or fields of sunflowers. But spring is electric. It's bright with possibility, teeming with new opportunity. It's when the world embarks on a brand-new adventure. And so do you. Check out some of our DIY Wedding Resources!